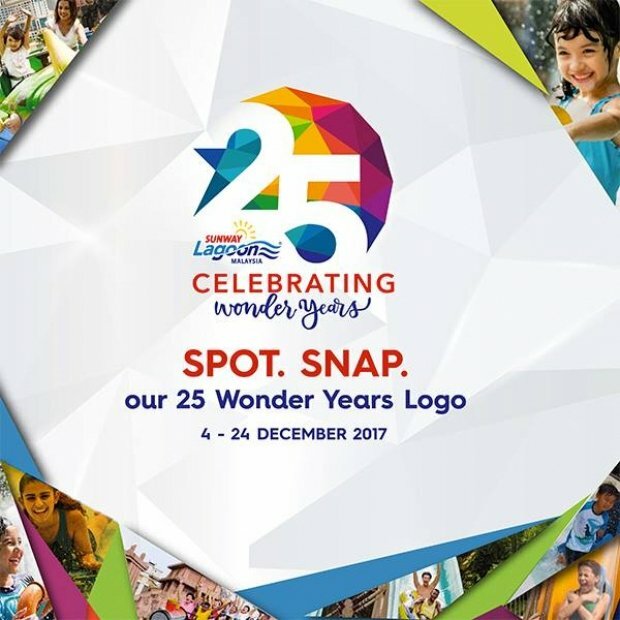 Win Sunway PALS preloaded cards worth RM200 when you "SPOT" all our 25 Wonder Years Logo around the park! IT'S DECEMBER AND ITS A MONTH OF FESTIVITIES AND SHOPPING! Applicable to all Malaysians and non-Malaysians above the age of 18 years old. Applicable to fans of Sunway Lagoon (Facebook, Instagram, and Twitter). The Contest excludes Sunway Lagoon’s employees, their families, agencies, or anyone professionally connected with the Contest. No entries from agents, third parties, organised groups or applications automatically generated by computers will be accepted. No incomplete or corrupted entries will be accepted. Any entries not in accordance with the entry instructions will be rejected. Any entries containing offensive or inappropriate content will be removed. Participants who do not comply with these Terms and Conditions or attempt to interfere with this Contest in any way shall be disqualified. By entering this Contest, participants will be deemed to have accepted and be bound by the Terms and Conditions. Participants are allowed to submit multiple entries but will be entitled to only win one prize. Duration to of the Contest is from 4 - 24 Dec 2017 (“Contest Period”). Collage the photos and posted it on your Instagram account (make sure it’s public) with hashtag #SL25Years and #SLSpotSnapWin. The closing date of the Contest is 11:59pm on 24 Dec 2017. Entries received outside this time period will not be considered. The winners will be notified by announcement on Sunway Lagoon’s social media accounts. Winners’ announcement will be made on Sunway Lagoon’s social media accounts on 27 Dec 2017. Prize are Sunway PALS preloaded card worth RM200 each given to 6 Winners. Sunway Lagoon retains the right to substitute the prize with another prize of similar value in the event the original prize offered is not available. Sunway Lagoon reverses the right at any time and from time to time to modify or discontinue, temporarily or permanently, the Giveaway with or without prior notice due to reasons outside its control (including, without limitation, in the case of anticipated, suspected or actual fraud). Sunway Lagoon reserves the sole and absolute right to withdraw, amend and/or alter any part of the whole terms and conditions in relation to this Giveaway at any time without giving prior notice to the participants and the participants agree to be bound by those changes. The decision of Sunway Lagoon in all matters under its control is final and binding and no correspondence will be entered into. This promotion is in no way sponsored, endorsed or administered by, or associated with Facebook. You are providing your information to Sunway Lagoon, Malaysia and not to Facebook. The information you provide will only be used for any marketing purposes in related to the Contest. Check out Sunway Lagoon Facebook Page for more details about this offer and to know the latest happenings!